Tagaytay is one of the coolest cities in the Philippines, second only to Baguio City. With its cool air and the perfect view of the Taal Lake, it’s no wonder a lot of tourists come to visit the place. Throughout the years, a lot of high rise buildings and grand hotels have been built. With the influx of travelers, the city’s accommodation prices have increased. Being a camping enthusiast, I scoured the internet for a list of places that allow camping. To camp is not only a fun activity but it is also cheaper than most accommodations. So without further ado, here is a list of Tagaytay campsites that’s worth checking out. Located just beside Picnic Grove, Nature Discovery Camp is a downhill slope area with fences. With a view of the mountains on the left and the Taal Lake on the right, the place is perfect for an overnight camping trip. They also have an available car park in the area. Bringing of food and water is allowed and a shower is also readily available. Nature Discovery Camp also has a swimming pool for kids and adults. Location: Nature Discovery Camp, Iruhin West, Tagaytay City, Philippines. Only 15 minutes away from Tagaytay, the Taal Lake Yacht Club is considered to be one of the best camping sites near Manila. From the campsites, you’ll be able to see the Taal lake. You can bring your own tent or rent one. However, they only have a few tents so if you want to rent, make sure to inform them in advance. Aside from camping, they also offer sailing, windsurfing, volcano trips, kayak rentals, and picnics. If you are trying to find a place to camp for a group outing or team building, Camp Pugad is the way to go. They have a program or dining hall, a swimming pool with Jacuzzi (sweeeet), garden, playground for kids, grotto and so many more. The best part is that you get the whole place to yourselves when you book. In the past years, the place was a private rest house but after some time the owners, Doy and Dek, opened it for public use. Rates: You have to fill in a form to get a quote for your camping trip. For an affordable glamping experience, try La VeryOl’s Mountain View Garden. Welcome drinks, breakfast, free wifi, bonfire, and movie night is included in the glamping accommodation. What makes this place unique are their kawa hot baths. Furthermore, for a complete relaxing package, you can avail of their massage + kawa hot baths. 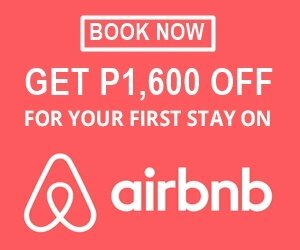 In addition to their awesome accommodations, Driftwoods Park also allows camping and bonfires although you have to pay P300 per bundle of firewood. Bring your friends here and gather around the bonfire for those late night horror stories, gaze at the stars or just let the cool breeze slap you. Pets are allowed inside the campsite but you have to make sure you clean up after them. Driftwoods is a sports park where you can go mountain biking, car rally, and drift or go camping. You choose or just try all three for more fun. Tagaytay Highlands is a home away from home with breathtaking views. It is perfect for a peaceful, and relaxing getaway. However, the place is an exclusive member only property so to get in you are either a member or knows someone who has a membership. Check with your friends and relatives, you might know someone who is a member. Wink. Whether you are a family, couple or a group of friends looking for a romantic or a relaxing getaway, Nurture Wellness Village offers the best glamping packages among the other Tagaytay campsites. They also provide amazing massage treatments to help you unwind. Glamping includes free use of running hot and cold water, dinner and breakfast, bonfire and swimming pool access, farm tour and many more! alin po kaya mga camping sites dito na pede kasama pet na dog? as in pede ilakad sa vicinity ng campsite.